The timeless counsel King Benjamin lovingly presented to his people includes this simple and thoughtful caution: "See that all these things are done in wisdom and order; for it is not requisite that a man should run faster than he has strength. And again, it is expedient that he should be diligent, that thereby he might win the prize; therefore, all things must be done in order" (Mosiah 4:27). 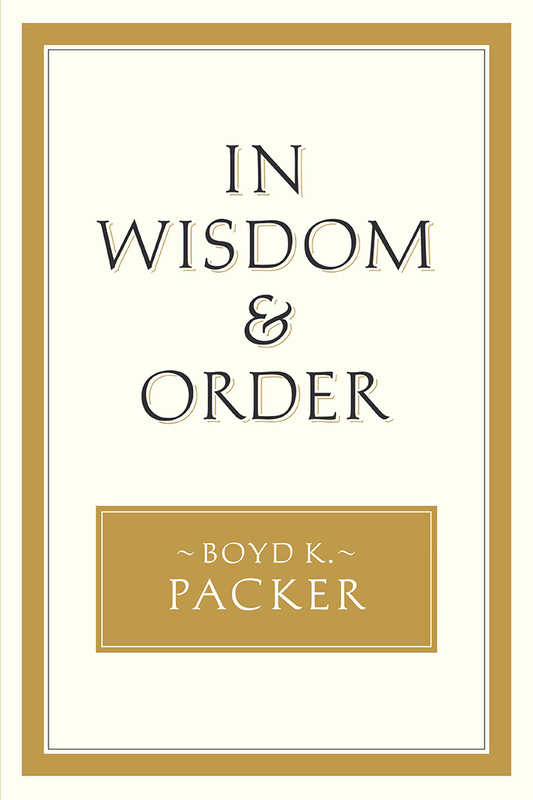 In this new collection of addresses, President Boyd K. Packer of the Quorum of the Twelve Apostles reiterates an ancient prophet's call to do all things "in wisdom and order." These twenty-eight chapters—selected from President Packer's conference addresses, mission presidents' seminars, and other speeches given over the past five decades—will instruct and inspire parents, youth, teachers, priesthood leaders, indeed, anyone who desires to learn at the feet of an Apostle of the Lord Jesus Christ. • Faith, "the kind of faith that causes things to happen, the kind of faith that moves people and sometimes moves things." • Self-reliance, with a reminder that "you have great and powerful resources at hand. You, through prayer, can solve your problems without endlessly going to those who are trying so hard to help others." • Temple covenants, which "become our credentials for admission into His presence. To worthily receive them is the quest of a lifetime; to keep them thereafter is the challenge of mortality." • And much, much more. As you read the words of this faithful disciple-leader, you will recognize anew that the Savior's hand is ever present in our lives and that the gospel plan is one of great "wisdom and order," designed to return us to our heavenly home clothed in glory and righteousness.